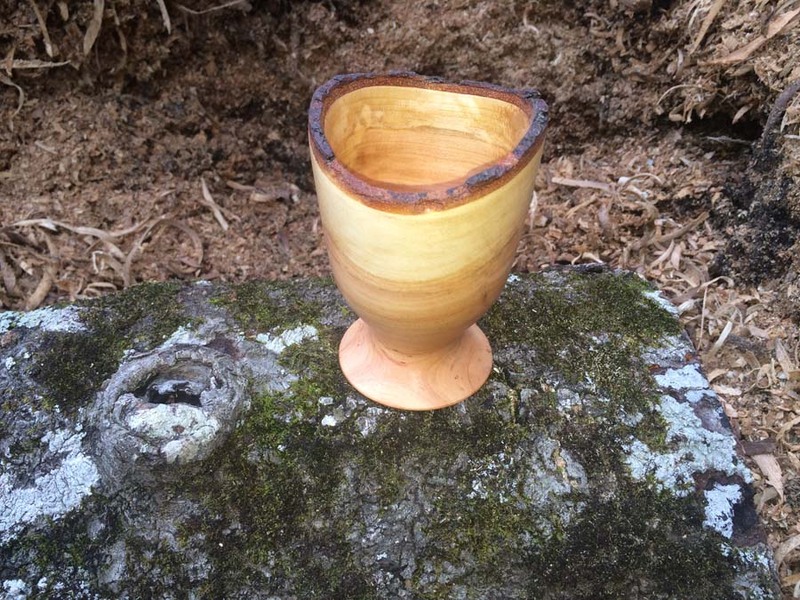 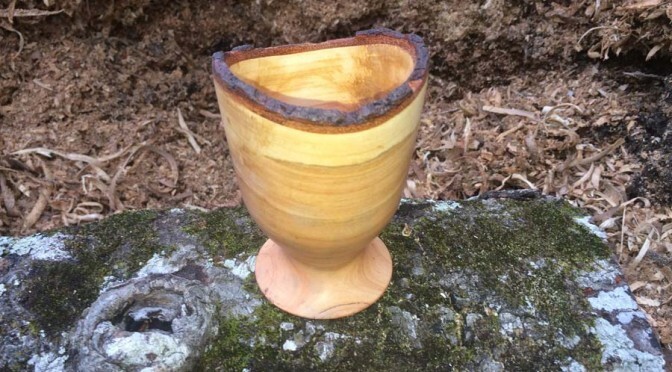 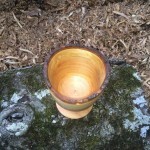 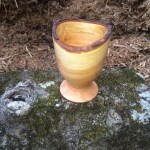 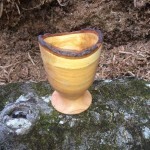 The images below show this goblet as I am roughing it out. 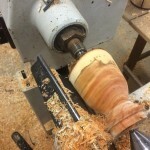 The first step is to turn the piece round and define a shape. 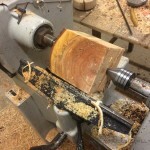 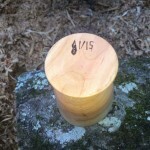 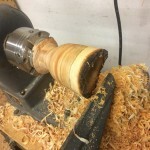 Then I turn the foot on the bottom so I can mount it in the chuck and then hollow out the inside.